All Catching Fire images courtesy of Color Force and Lionsgate. 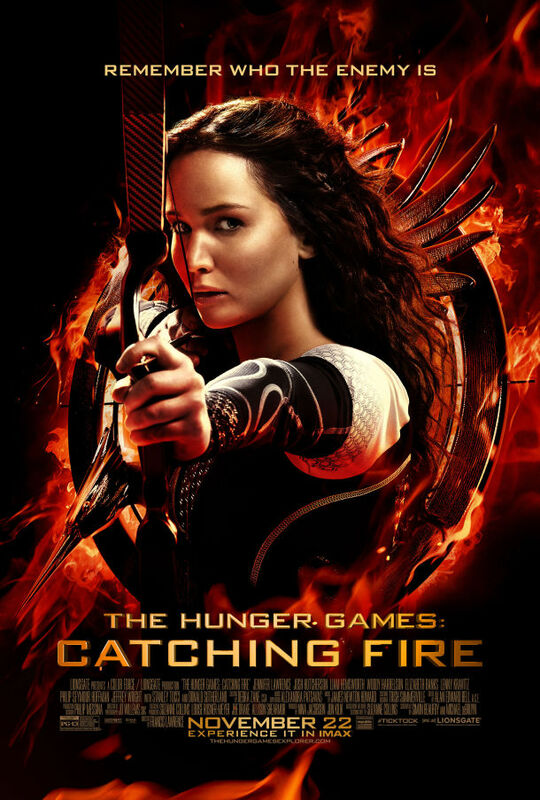 Catching Fire, the sequel to the somewhat-loved and somewhat-hated Hunger Games, is getting all kinds of awesome reviews all over the place. People love it because it adheres to the book pretty strictly, which is very true, and I applaud them for that. It can be difficult to stay true to a book (*cough*PrisonerofAzkaban*cough*), especially when it’s one jammed full of so much action. Following the events of the 74th Annual Hunger Games, the districts are revolting against their Capitol oppressors. They look to Katniss and her act with the berries as an example of defiance, and President Snow personally comes down to District 12 to ask—well, threaten—Katniss to keep everyone in line by setting a different kind of example. So she tries to be the very example of Capitol loyalty, but this blows up in her face as the people of the districts only grow more and more angry at her obvious performance. What “Repairs” should be is an attempt to shed light on the most enigmatic member of our team, Melinda May — pilot, hand-to-hand combat specialist, sometimes referred to as “The Cavalry” for exploits that have grown to near mythical proportions throughout S.H.I.E.L.D. May’s one of those people that we may see in life, but will probably never really meet. She’s quiet, hard to get a read on, almost aloof. She rarely smiles, never laughs, and if you examine the social structure of the people she’s with, she’s clearly the most separate from the rest of the group. And that’s a character type that I completely understand. From what little we learn of May in “Repairs”, it’s clear that she experienced something horrible, something that affected her so deeply that she would never be the same. A trauma (or traumas) that would make her distant, never able to truly integrate or accept herself as a part of the group, knowing that it’s better for everyone if she holds back, stays away, even if that leads people to the wrong conclusions about her. I think the writers really understand the type of character Melinda May is and where people like her are coming from, and I truly mean that as a compliment. It’s too bad that’s the B story. Images courtesy of Bay & Thomas Productions and 20th Century Fox. I feel like every review I write for this show is now turning into some big commentary on life, the universe, and everything, but that can’t really be helped. See, that’s the point of this show: it’s relatable to everyone, no matter where you are in life. Unless you’re in prison, in which case this isn’t relevant to your life at all, and if that’s the case please don’t send me any creepy emails. I’ve said it before and I’ll say it again: if I ever find myself in a post-apocalyptic zombie world, I will give up almost immediately. None of this running around, gathering supplies, forming uneasy alliances with groups that clearly have their own interests at heart until the whole thing goes belly up in a final confrontation between the good and evil that stirs within all men’s hearts (because who are the real monsters?). Supposedly there are innate patterns of behaviour we follow given certain stimuli, instincts that tell us — right or wrong — what to do. Instinctively, we can sense danger. Instinctively, we’d run if a zombie were after us. Most of us, instinctively, would reach out to help someone running from a zombie if we could do so without putting ourselves in too much danger. I still maintain that in a world of the walking dead I would find my way to the top of a tall building and jump, my instincts having told me that survival in such a world wouldn’t be worth it. Every story has a beginning, a middle, and an end. And some stories then have an epilogue, followed by a sequel, followed by a third sequel that’s better than the second but not as good as the first but overall forms kind of a nice story, and then they ruin it by tacking on a fourth sequel several years later that only has a couple of the same characters, and then there’s a gritty reboot that doesn’t acknowledge the previous versions but still has some in-jokes that make all the nerds wet their pants, and the point is that not every story does, in fact, have a beginning, a middle, and an end. You may not believe it from the mad ramblings I throw at you every week, but I’m a storyteller. I was trained to be one, or at least that’s what the degree I’ll be getting in five months will say. I know the best place for a story to begin, the kinds of twists and turns it needs to take along the way, and the ideal place for it to end while leaving the audience juuuuust satisfied enough to appreciate the story and juuuuust curious enough to write fanfiction about it. This is my territory. I know it well. 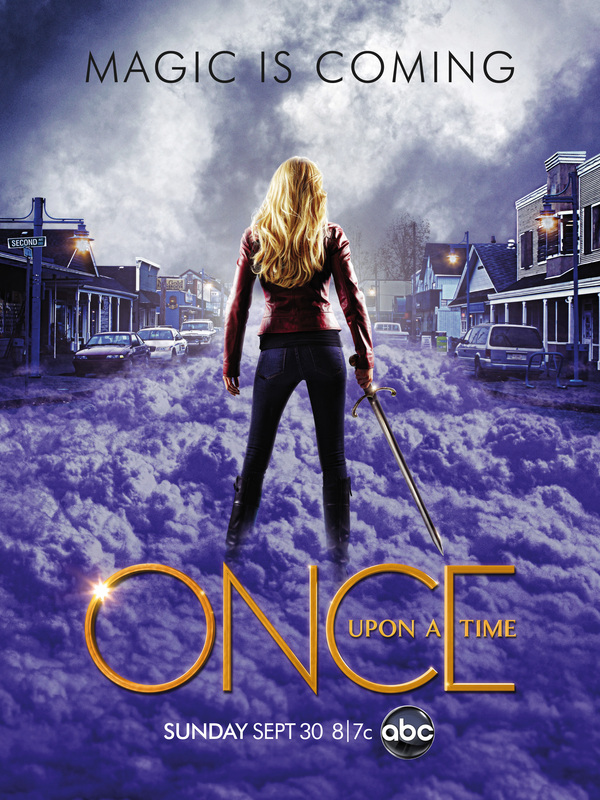 And yet I don’t understand season 2 of Once Upon A Time. As the various marketing outlets and channels should have made clear to you by now, this week’s episode directly ties into Thor: The Dark World. And just like the writers in the comics try to do with their crossover events, you don’t need to have seen one to understand the other, but your experience should be richer for having seen both. There’s something about “The Well” that just feels different. It’s a little off in a way that you can barely see. Everything about the episode feels better than normal, a little more accomplished, just that bit closer to the show we had imagined than the one we’ve gotten so far. I think it started with some of the simple banter between our agents. Somehow, it all felt natural as our Agents discussed the Asgardian relics they’d discovered as the subject of this week’s episodes. Maybe it’s just that we’re past a lot of the character work from earlier episodes by now and are just that much more free to head straight into the show. We may have gotten to this point through more clumsy and banal writing than most viewers would’ve liked, but it’s still work that’s now done, and the character’s are finally starting to gel. After what, in retrospect, turned out to be an exhausting series of season-opening episodes based around the comparatively invisible threat of a virus, “Live Bait” turned out to be a pretty big relief. The show may have come back in a big way with last week’s “Internment”, a surprisingly action-packed installment, but a break away from our normal setting turned out to be a welcome respite from the normal doom and gloom of a dreary prison and an even drearier people.